Amsterdam Oud West is a social and lively neigbourhood with a myriad number of restaurants, shops and furniture stores. Recently, there have been plans of development, which aim to accommodate new businesses and construct approximately 300 new housing segnments. These housing segments will be accompanied by around 650 new parking spaces are soon to be made available! Westerpark is also part of government neighbourhood development with the enormous park, trendy bars, old (industrial) buildings and live events. Several new housing projects on former industrial sites have fulfilled the demands for affordable three or four bedroom apartments. 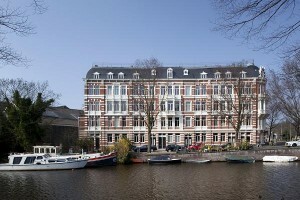 Both are quarters in west district of Amsterdam. Lively and multicultural area in the west, its location is within short range to the centre of Amsterdam and designed initially for commuters, who from now on could travel to the rest of Amsterdam neighbourhoods with great selection of public transportation and bicycle. Bos en Lommer neighbourhood has a superb access to Amsterdam highway (A10). With seamlessly number of medium buildings, it serves a great option for expat families.